If you are facing a court date in Royal Oak Michigan at the 44th District Court or another Oakland County court make sure that you have an experienced criminal lawyer defending you. When your future and your lifestyle are on the line due to the judicial system, it is recommended that you have a respected and highly rated Oakland County lawyer when going against officers and detectives from the Royal Oak Police Department, Oakland County Sheriff's Department, assistant Oakland County prosecutors, Royal Oak city attorneys, and the endlessly deep resources of the criminal justice system. Having a sharp quick witted lawyer with strong legal acumen, who does not fold under the pressure tactics of Royal Oak city attorneys and assistant Oakland County prosecutors, possessing years and years of extensive litigation experience, with a highly regarded reputation in the legal community, who will fight for you, is what you need from your lawyer. Take control of your stressful court case by retaining criminal defense attorney Daniel Hilf. When it comes to criminal defense there is no room for bad legal advice, litigation mistakes, ignored client communications, or anything short of diligent legal representation. Attorney Daniel Hilf's promise is to passionately defend clients and to assert well prepared litigation strategies, no matter if the matter will go to trial or if it will be resolve by plea. Attorney Daniel Hilf is a highly respected Michigan attorney, trusted by clients and other lawyers alike, because he is fights vigorously and passionately to prevent clients from becoming negative statistics of the criminal justice system. 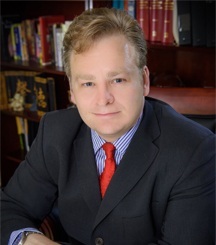 Attorney Hilf's local criminal defense practice is a large asset to clients, because in addition to his litigation skills, he is familiar with the legal philosophies and psychology of the Judges, assistant Oakland County prosecutors, and Royal Oak city attorneys and can adjust his defense approach based upon the circumstances. A very damaging aspect of "criminal justice" are false allegations that sometimes arise. False accusations undermine the "criminal justice system" and unfairly treat victims and innocent bystanders as criminals. Defective police practices can lead to wrongful arrests. False accusations are caused by a variety of different reasons, including: deception; assumptions that are misguided or wrong; persons that are purposely targeted by police officers due to a prior record (rounding up the "usual suspects" mentality); lies; bias; police officers jumping to false conclusions; mistakes made by police officers and/or eyewitnesses; prejudice; violations of Constitutional rights, etc., etc. Police officers and detectives are not neutral, and view their jobs as building cases against individuals. Sometimes the decision making process employed by police officers and detectives are based on speculation, hunches, intuition, and the need to pick a side when confronted with 2 or more opposing stories. The police mentality can lead to the arrest and prosecution of innocent people. Oakland County defense lawyer Daniel Hilf's obligation to his clients is to fight against such injustice. Overcharging is a negative issue encountered in criminal cases. When a prosecutor or city attorney makes a judgment to prosecute for a more serious charge and pushes the legal envelope, overcharging occurs. In some cases involving overcharging, the best possible result is gaining a conviction to a less serious charge. In other cases, litigating to obtain an acquittal of all charges is what needs to be done. The strategy used by your lawyer should be individualized, and tailored to the facts and circumstances of your case. Have you been accused of a crime or received a ticket and have to go to court in Royal Oak at the 44th District Court, Oakland County Circuit Court, or anywhere else in Michigan? Local criminal defense attorney Daniel Hilf offers you top level, respected criminal defense representation if retained. Local criminal lawyer Daniel Hilf's office is a short drive from Royal Oak and conveniently located in Troy at 1775 W. Big Beaver Road (between Crooks Road and Coolidge Highway). Before you retain a lawyer, make sure you throughly know his or her professional history and reputation. Your background search of local criminal defense attorney Daniel Hilf will reveal: he prides himself in the number of extremely satisfied current and former clients he has; he is referred to many new clients by other lawyers and former clients; he has 20 plus years of legal experience with over 100 completed jury trials (many successfully) and thousands of court appearances; he has a well staffed office in Troy Michigan; and he has won several awards for his legal advocacy. Properly defending client's rights, placing the case in the correct light, informing clients as to their case status and nature of the allegations, well explored defenses, compassionate legal representation, and fighting for the best result all play fundamental roles in criminal attorney Daniel Hilf's defense work. When you truly have a experienced lawyer on your side, it may make all the difference in the world. It is time to start removing negative thoughts and to start thinking positively about the outcome of your court situation. Daniel Hilf is a top level lawyer and is available for you to retain today. Payment plans are available in many instances, when needed. Lawyer Daniel Hilf accepts credit card, debit card, wire transfer, money order, cash, cashier's check, personal check, giving you a wide variety of payment options, and payment also can be made online through the Hilf & Hilf, PLC website at www.hilfandhilf.com. Please contact Hilf & Hilf immediately for any Royal Oak criminal accusation or ticket.